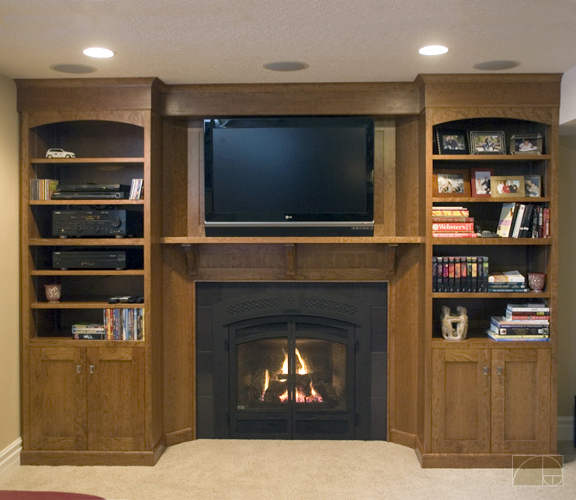 A home theatre and a handsome gas fireplace insert take centre stage in these solid, craftsman style built-ins. We use details such as the arched metal-work of this fireplace and reflect them in the cabinets. This aspect of designing is all about attention to detail, from beginning to end.